Olivia Decker's Chateau Villette, near Paris is available for rent for your special occasions. Olivia and her company Decker Bullock concentrate exclusively on the marketing of extraordinary homes - those valued from $3 million to over $20 million. She offers the most effective marketing program in the business for both quality and comprehensiveness. She is most experienced in handling expensive properties and has the broadest, most substantial client base for luxury homes. She consistently represents the highest level of clientele. Olivia was born in Shanghai, China. She lived in Hong Kong, Taiwan, Japan and immigrated to San Francisco. She has been marketing luxury properties since 1979. Her unique ability and her connections to an affluent clientele are unmatched by others in the San Francisco Bay Area. Miss Decker completed international real estate study at University of Oxford, England in 1990. She is a member of San Francisco Opera Guild Board and Corinthian Yacht Club. 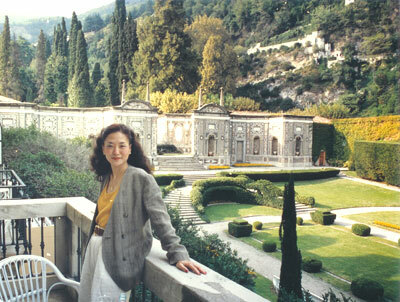 She lives between Belvedere California and France where she owns two magnificent chateaux. Chateau Grimaldi in Aix-en-Provence and Chateau Villette near Paris where the centerpiece story of The Da Vinci Code book and movie took place. Olivia has been featured in over 50 publications including The Wall Street Journal, USA Today, New York Times, International Herald Tribune, San Francisco Chronicle, Success magazine, W magazine, People magazine, California Homes & Design, San Francisco Business Times, Nobhill Gazette and many others. In a Wall Street Journal profile of Miss Decker, it said: "If you have a very expensive home to sell, her name comes to mind before anyone else's." The San Francisco Chronicle/Examiner described her as: "Perhaps the nation's best known residential real estate broker". She has the largest inventory of luxury homes for sale. Whether you are buying or selling, let her put her expertise to work for you. Olivia also dominates the market for homes over $5,000,000 in the San Francisco Bay Area and Marin County. Olivia is the only agent in the San Francisco Bay Area who has listed and/or sold over 35 homes over $5,000,000. Olivia Decker is the owner of Chateau Villette, the center piece location of the Da Vinci Code book and movie!